Let me explain further. 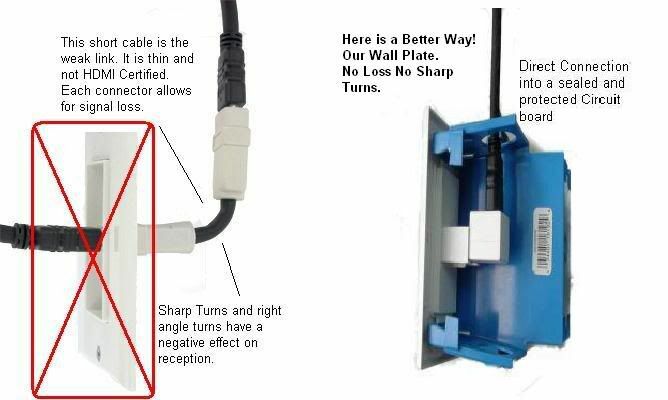 Some sellerï¿½s wall plates use a 4 to 5 inch extension cable. This short cable does nothing but add insertion points for added EMF interference and signal loss. In addition most of these short cables are not HDMI certified and made of a lower quality cable. In many cases you also have to bend these cables at a 90 degree angle. It is a well know fact this is a not good and has a direct effect on velocity rates. Since you are trying to move HDTV signals that require a lot of bandwidth all of these factors on these lower priced units all work against delivering the high quality signal that the new technology and electronics require. 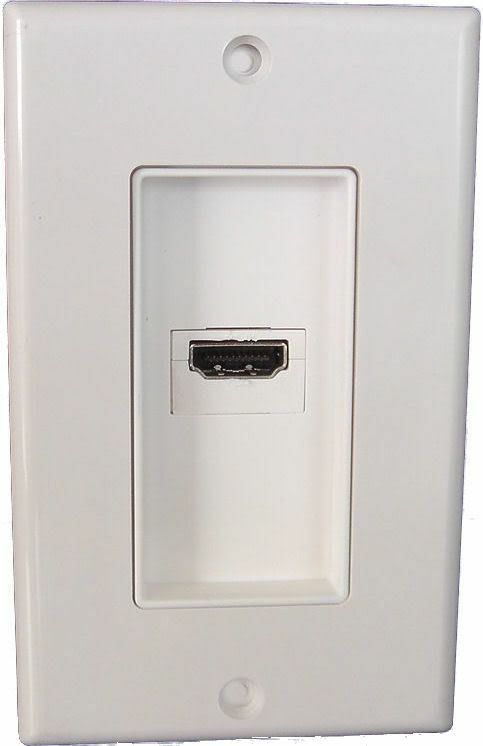 HDMI Feed through Wall Plates are a must have for your home theater installation. They come in 1 or 2 Port (2 port are available in our store) configurations and are Feed through so you just plug in and go. HDMI Feed through wall plates are great for hiding your cables in the wall for a clean look behind your Audio/Video System.